The Hotel Coolidge offers Interim Housing exclusively for new arrivals to the Upper Valley and those in work or school transition. 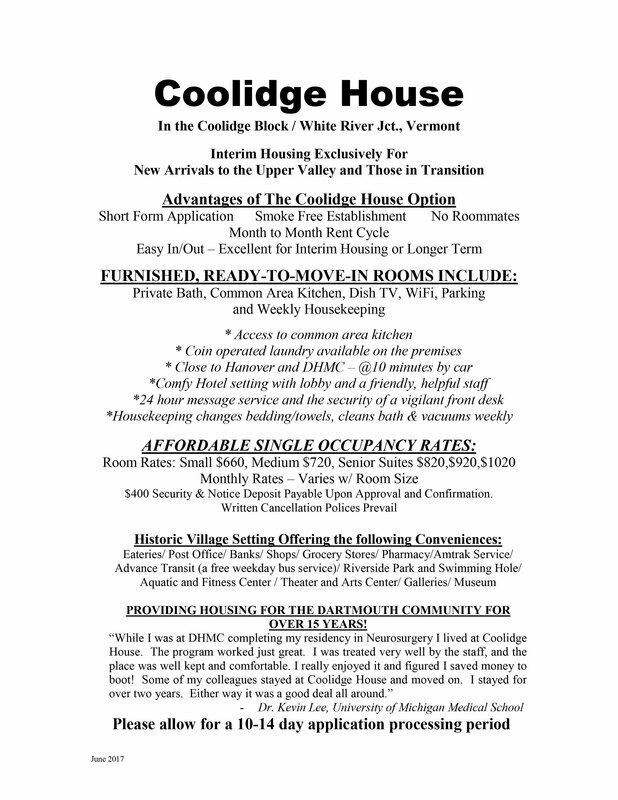 The advantages of The Coolidge House Option include a Short Application Form process, a Smoke-Free environment, a 30-day (Month to Month) Rent Cycle, and the flexibility that conforms with the resident's fluctuating temporary work or school situation. We call it "Easy In/Out" – Excellent for Interim or Longer Term housing. Please read our informational guide located below to get a comprehensive overview. 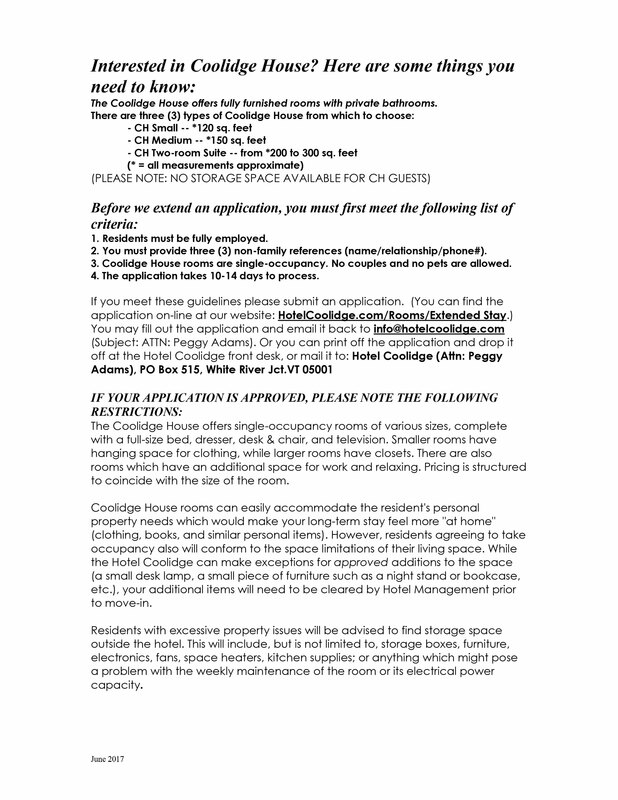 The Coolidge House Extended Stay option requires the submission of an application which will be reviewed and references checked. Coolidge House availability is limited, but submitting an application ensures the applicant is afforded an opportunity when and if we have openings for new guests. All applications require a $50 non-refundable application processing fee, without which the application will not be processed. To ensure the safe processing of your payment, please call the Hotel directly at 802-295-3118. In the event that your application is approved, the application fee will be applied to your first month's rent. Please click below to complete the online application to submit your request.